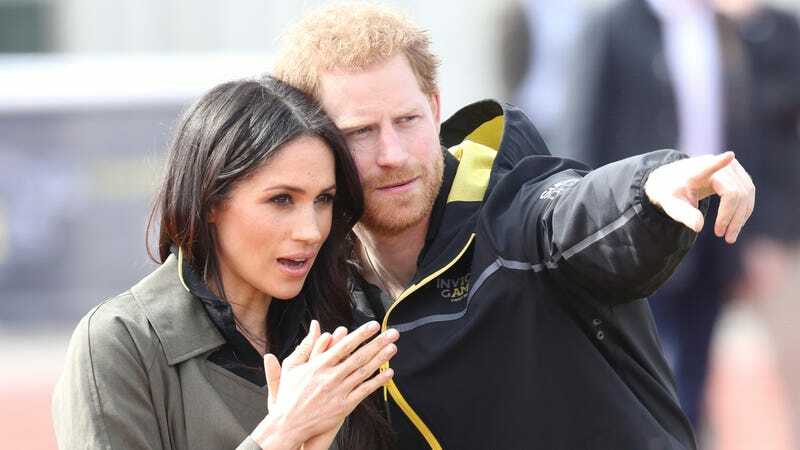 Harry and Meghan will include the public in their wedding by inviting 1,200 specially selected worthies to the grounds of Windsor Castle to greet the newly married couple as they emerge from St. George’s Chapel. But much like a Greyhound bus trip, they should plan to pack a PB&J. Representatives of the royal family, which has an estimated net worth well in excess of £400m, have sent letters to these guests encouraging them to bring their own picnics, in a move described by one invitee as “unfathomable”. “Kensington Palace indicated this week that some refreshments and snacks would be available, but declined to elaborate,” the Guardian added. Never hurts to bring a picnic lunch or two. 21-year-old Saeed Atcha, the founder of a youth magazine named Xplode, has been cruising maps in preparation, noting the existence of a supermarket. He told the Guardian, “There’s a McDonald’s, but I’m not sure I’ll be able to bring in a filet meal.” It’s statistically very unlikely, but I’m picturing this as the McDonald’s where Kit Harrington got a black eye defending his date’s honor the night before his Game of Thrones audition. My money’s on this McDonald’s for the real royal wedding after-after-after party.